Tooth decay is prevalent among the molars and premolars of most people because these teeth contain small irregularities that are prone to the collection of debris and bacteria.Proper flossing and brushing can help to eliminate the risk of tooth decay effectively on the front teeth, but for teeth located toward the back of your mouth, the risk is higher because it is more difficult to properly care for these teeth due to their natural irregularities. They tend to have deeper crevices and folds in surfaces of the tooth, which act to trap food and food particles that can act as a breeding ground for bacteria. In order to fight against this risk, dental sealants can be used to provide a protective layer for your teeth and prevent tooth decay. A sealant will cover the crevices commonly found in molars and prevent particles from lodging in place. Who Needs a Dental Sealant? Those who have a particularly high risk of tooth decay in their molars or premolars are the best candidates for dental sealants, particularly for children or teens. When permanent teeth first emerge, the application of a sealant can help prevent cavities. Baby teeth can be treated with a sealant as well. Ideally, sealants are used for children from age 6 up to teens of age 14. Adults who have no decay or fillings are also candidates for sealants. The application of a dental sealant to your teeth involves minimal time or effort on the part of your dentist and there is no pain associated with the procedure. The first part of the process involves a thorough cleaning to ensure that no debris or bacteria become trapped beneath the sealant. Once the cleaning is completed, each tooth must be dried and protected from any moisture and then a mild acid solution is used to make the surfaces of the teeth porous so that the sealant can bond easier. Once this is done, the teeth are once again rinsed and dried and the application of the sealant can begin. The dental sealant is applied to the teeth by your dentist with a small brush and shortly after the application the sealant will harden and bond to the teeth. 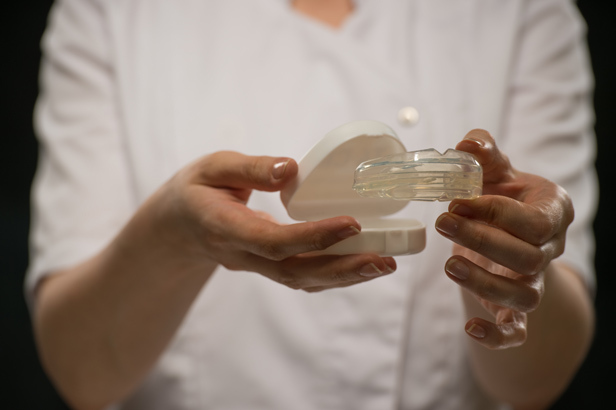 Your dentist may use a special light to shine on the sealant to help it harden and bond to the surfaces of your teeth. How Durable are Dental Sealants? A properly applied dental sealant can last ten years or more, but as time goes on your dentist will want to check your sealants regularly to see how they are holding up. In the event that sealant is damaged, it can be repaired by your dentist. If you are looking for the best in dental care, be sure to contact the professional and friendly staff at Pearland Family Dentistry. We can provide you with all of the information you need to make a decision regarding your teeth and dental sealant options.